In the welter of releases that flood the music market weekly, it’s rare to find an artist who manages to remain both original and reliable. Richard Thompson, who made his recording debut with Fairport Convention in 1967, has since surpassed all expectations on both counts. From the moment he began, it was obvious that he was one of the great guitar players in the history of rock, right up with Clapton, Hendrix, and Page. What has only become clearer with the passage of time is that he is also one of music’s greatest singer/songwriters, as well. With Still, his 2015 release produced by Jeff Tweedy of Wilco, Thompson delivers a sterling performance that ranks in the top five of the more than two dozen records he has made under his own name. When Thompson hits the stage at the Lobero on Friday, November 6, he will open with an acoustic set and then set things ablaze on electric guitar in a trio format with Taras Prodaniuk on bass and Michael Jerome on drums. I spoke with Thompson from his home in Los Angeles last week about the new album, the tour, and what keeps him sounding so good. You’ve worked with two strong producers on your last two albums, Buddy Miller for Electric and Jeff Tweedy for Still. You’ve got the experience to produce yourself — why go into the studio with someone else? It’s possible to get tired of your own ideas, and with someone else, you have a different kind of filter. I can’t necessarily hear what’s not working, but a good producer can tell you that a song is a verse too long, and you may not agree, but oftentimes he’s right. You get a lot of attention for your guitar playing, but I want to ask about your voice. You sound so authentic and sincere to me. To what do you attribute that quality? Thanks. I think my voice has improved over time, and the sincerity is because I’m a folk musician. With traditional music, you tend to sing in an authentic way. I also sing in a British accent, and not too many people do that. 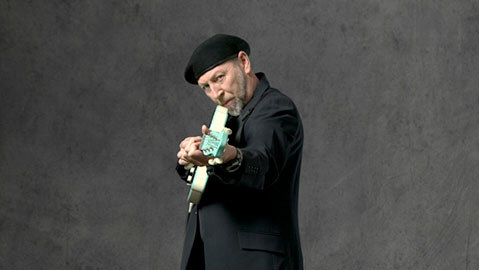 Richard Thompson will be at the Lobero Theatre (33 E. Canon Perdido St.) on Friday, November 6, at 8 p.m. For tickets and information, visit lobero.com or call (805) 963-0761.